Aluminum Oxide, X-wt. 65/35% Poly/Cotton, 24-400 grit: This is our most popular AO Belt. With a great initial price point, the Poly/Cotton backing offers a durable belt with good grain retention. Great starting point for most metal applications. Aluminum Oxide, X-wt Cotton. 36-320 grit: This open coat belt makes it ideal for all wood applications as the grain sturcture helps to resist clogging. Dry use only. Aluminum Oxide, F-wt paper. 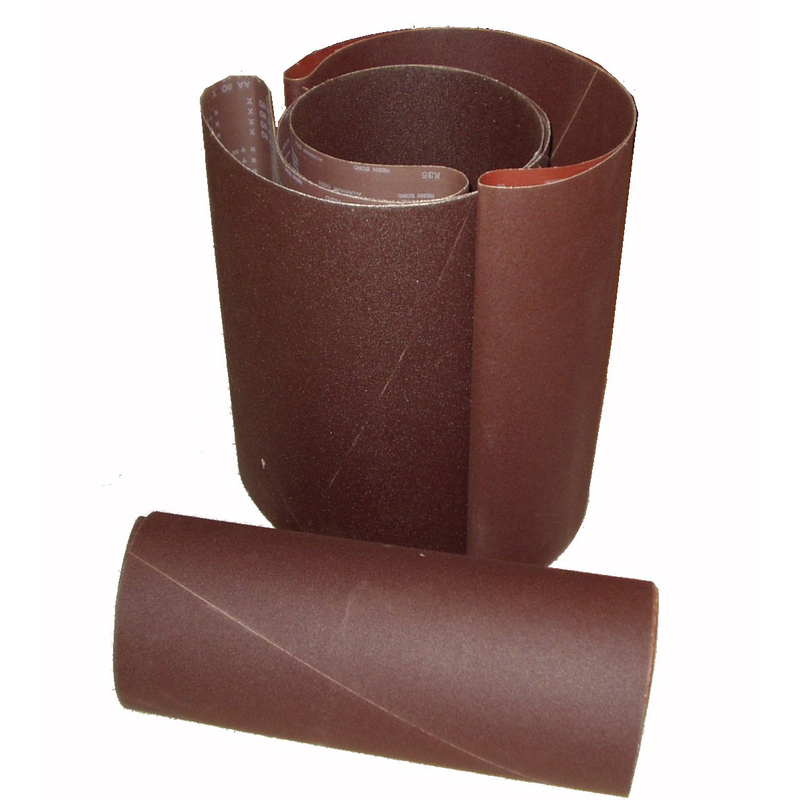 40-220 grit: This open coat, load-resistant abrasive belt is constructed on an F-weight paper backing. Features a static resistant treatment.